The Babson-Posse partnership is going strong! 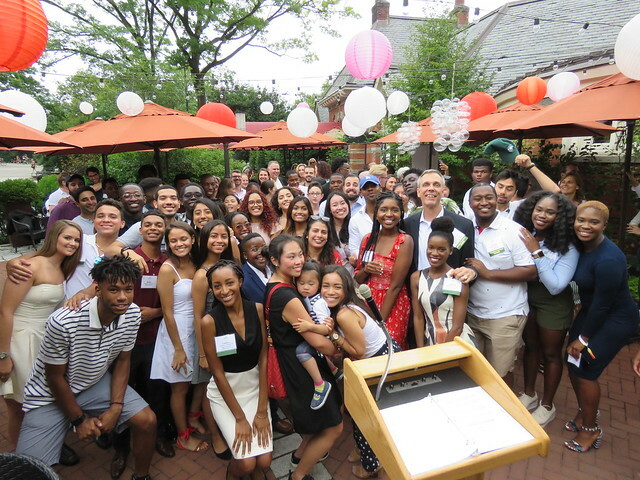 The Posse Foundation recruits and trains public high school students with extraordinary academic and leadership potential to become Posse Scholars. Babson is the only business-focused school among Posse’s 57 partner colleges and universities around the country. Babson’s Posse Scholars are recruited each year from a pool of over 3,000 New York City high school students. Information about the Posse Foundation and the scholar nomination and selection process can be found on the Posse Foundation website. Babson’s Posse Scholars are successful academically, with a graduation rate of 97%, and are leaders in organizations across campus too numerous to mention. For more information about Posse at Babson please contact Tracey Reza, Assistant Dean of the Undergraduate School, who serves as Babson’s liaison to the Posse Foundation.